My family loves all things peanut butter. Peanut butter cookies are high on our list of favorites. 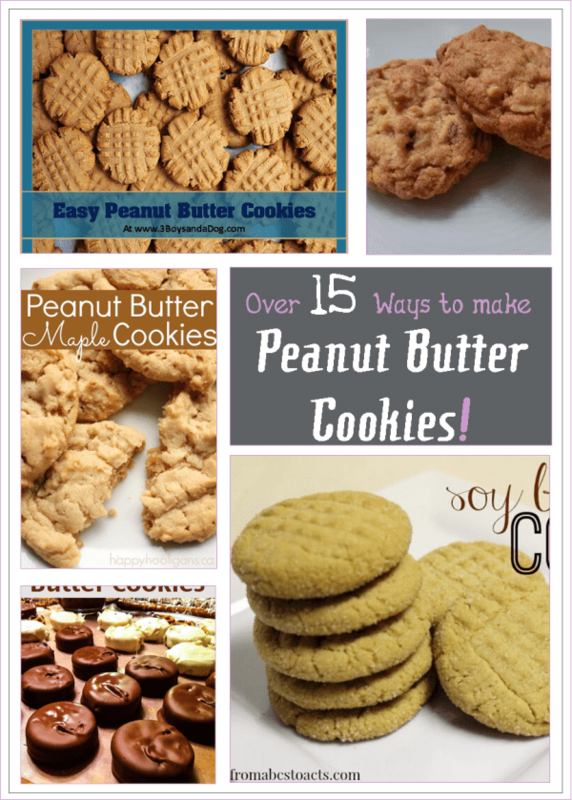 I’ve put together my favorite peanut butter cookie recipes. The best part about this list is that there is something for everyone. Whether you have a peanut allergy, you’re gluten free or watching your weight, there’s a recipe on this list for you! If you like the above peanut butter cookie recipes, you will love my other favorite cookie recipes! The following (aff links) are my top picks for cooking baking must-haves! Get creative with peanut butter recipes. There are so many fun things you can add to peanut butter. I’d love to know what your favorite peanut butter recipe is. Let me know in the comments.